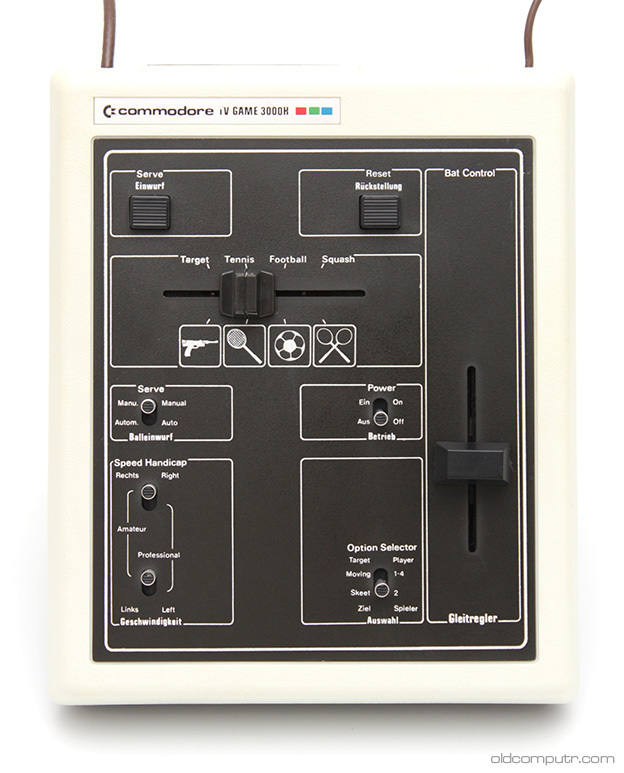 For a short period, like many other companies, even Commodore sold a version of the classic Pong – at least here in Europe. 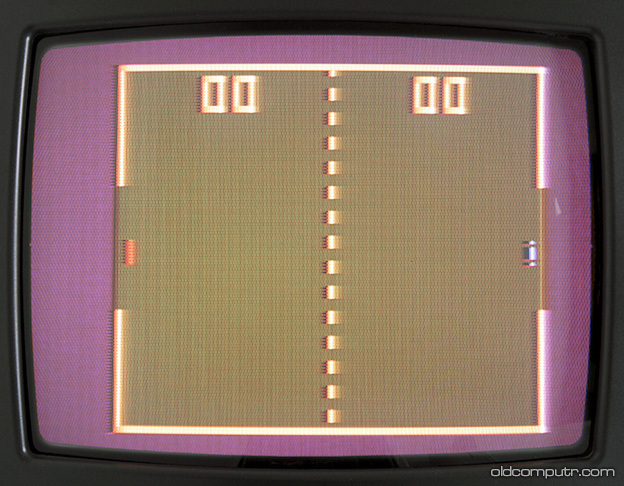 When Atari released the VCS in 1977, all these games quickly disappeared. 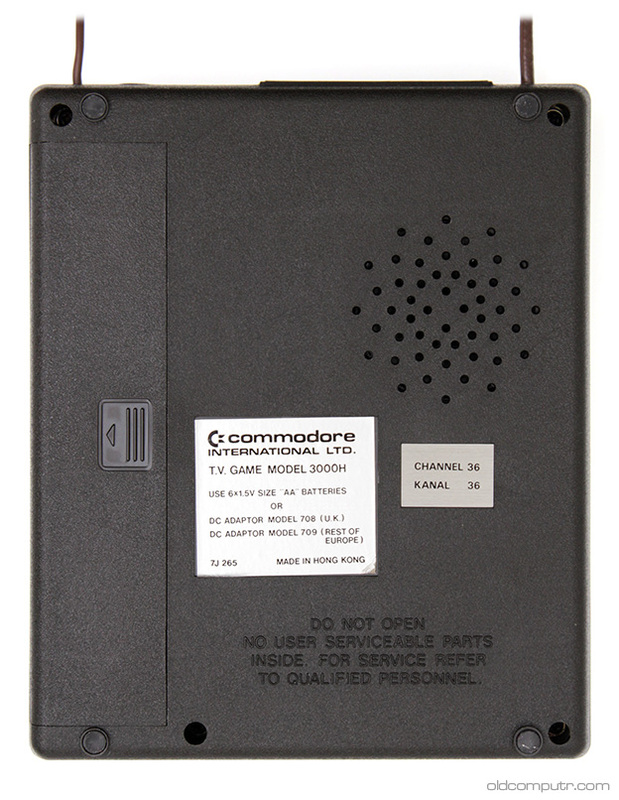 This item comes from the UK; all the labels are written in English and German, as are the two instruction manuals. It is in good condition, and after a thorough cleaning the plastics were white again. 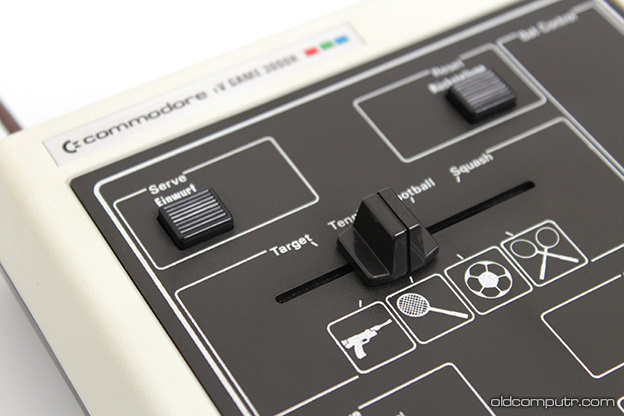 To control all the games, the system offers only a slider that moves the classic bar on screen, which using some imagination (remember that we are talking about almost 40 years ago) became a tennis or football player. I had to clean the sliders with some deoxidizing spray to make them work well. 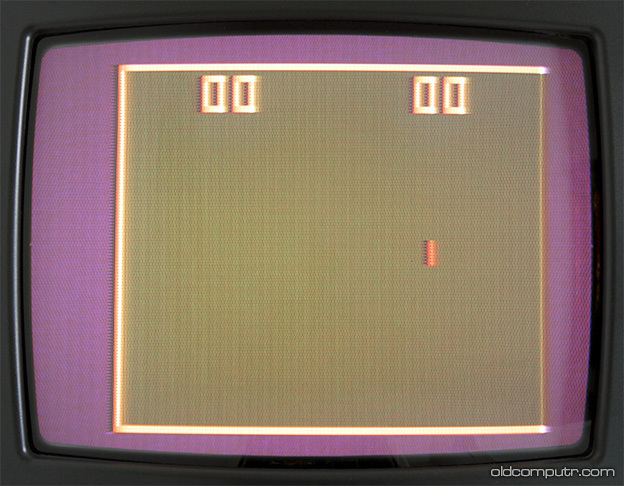 Up to 4 people can play simultaneously: one slider is on the console, one is directly connected to it with a wire, and the other two can be connected on the back, where there’s a port to connect the optional gun/rifle (which has the dedicated game “Target”), the jack for the 9v power supply unit, and the cable to connect the system to a tv set. The sound effects come from the internal speakers. 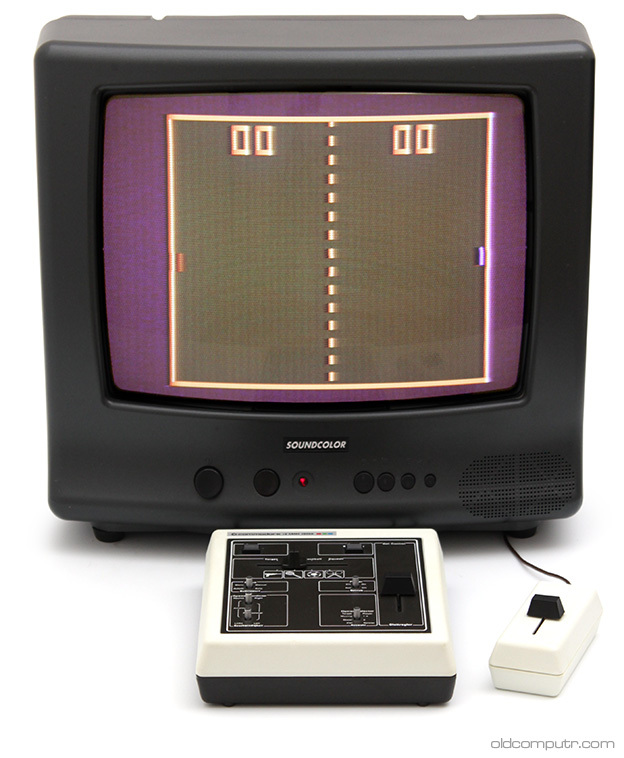 The games are so easy to play that even my wife – who doesn’t like videogames and isn’t used to modern controllers with 10 buttons, analog sticks and d-pads – enjoyed a tennis match. The next picture shows the available games: Target, Tennis, Football and Squash. 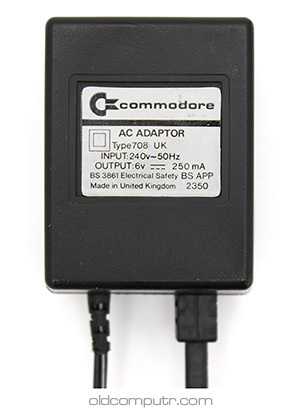 The power supply unit is the original UK/240v one. The declared output is 6v, but the user manual says that it should be 9v; the console can run even on batteries (6 x 1,5v AA). One player. Needs the optional gun/rifle. 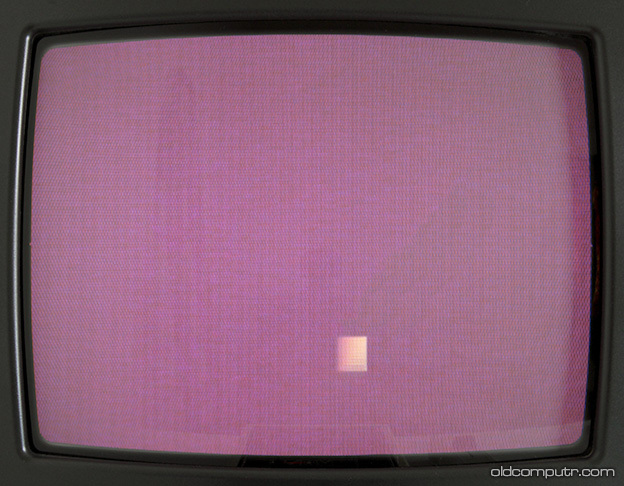 You have to hit the target bouncing on the screen. Two or four players. 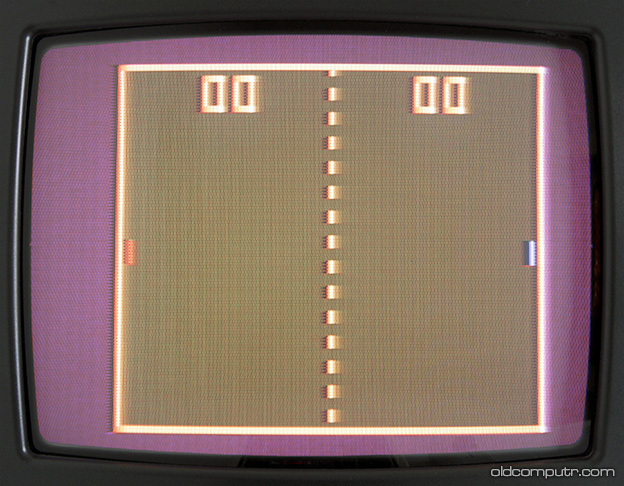 One player on each side, you score a point when your opponent can’t hit the ball. Two or four players. The aim is to shoot the ball into your opponent’s goal. One or two players. Both on the same side, you have to hit the ball in turn. Since I couldn’t find the manual online, I scanned the original. 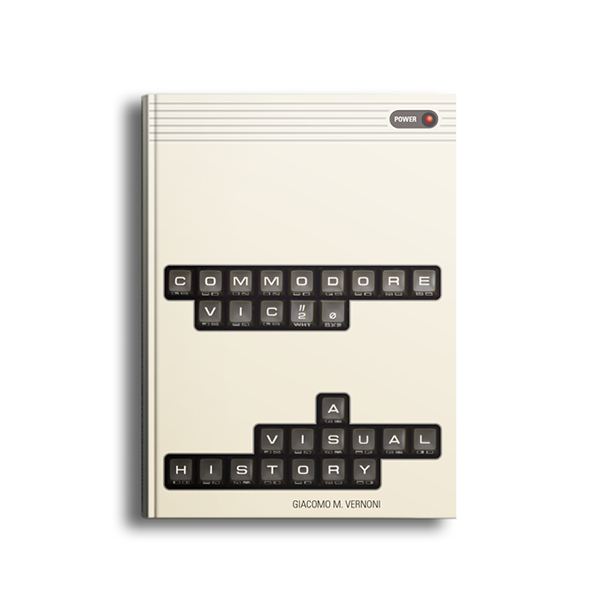 If you need more information, I suggest the TV Game 2000K/3000H page on The Secret Weapons of Commodore site.